Upcycled plywood Christmas trees, a more inclusive Santa character and desks being turned into fireplaces – these are just some of the ways that creatives have made their offices feel festive this year. Elmwood’s hand-made, cardboard window display has been a charitable effort this year. Using only pen, cardboard and Stanley knives, the studio’s designers came together to draw big, minimal shapes of animals, people and buildings, turning them into a Christmas story. 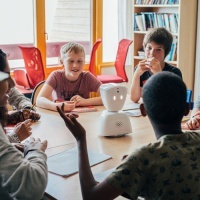 The tale involved a protagonist, Emily, who builds a Christmas robot that helps her make and wrap presents for her family. 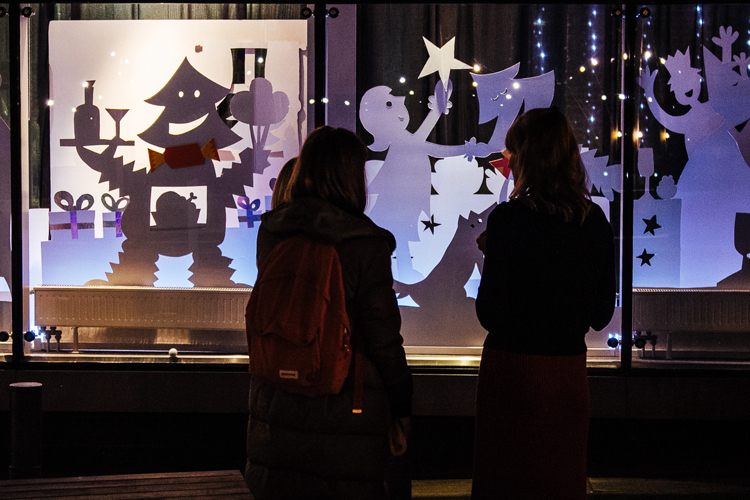 Exhibited in the window of Elmwood’s Leeds office, the display was revealed as part of a charity auction event, where various brands and organisations donated prizes that were sold for the Covvi Foundation. This included Leeds Playhouse, Yorkshire Country Cricket Club and Wensleydale Cheese, and £1,500 was raised, which goes towards helping disadvantaged children with upper limb amputations get new prosthetics. 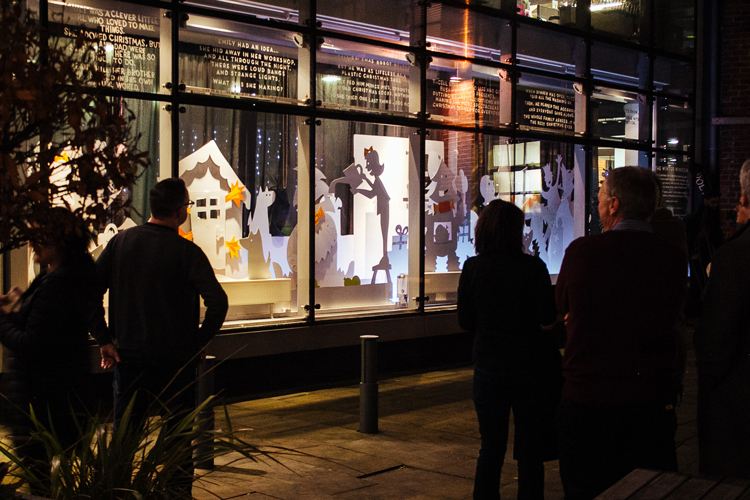 The window display is open for anyone to visit throughout December. 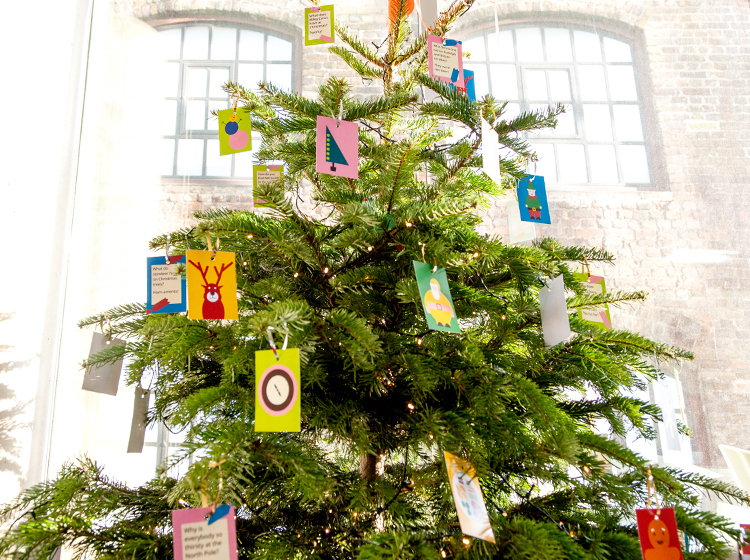 Dalton Maag’s studio Christmas tree this year is rather topical, playing on the recent trend of upcycling and the global need for us all to recycle old goods rather than contribute to pollution by consuming new ones. 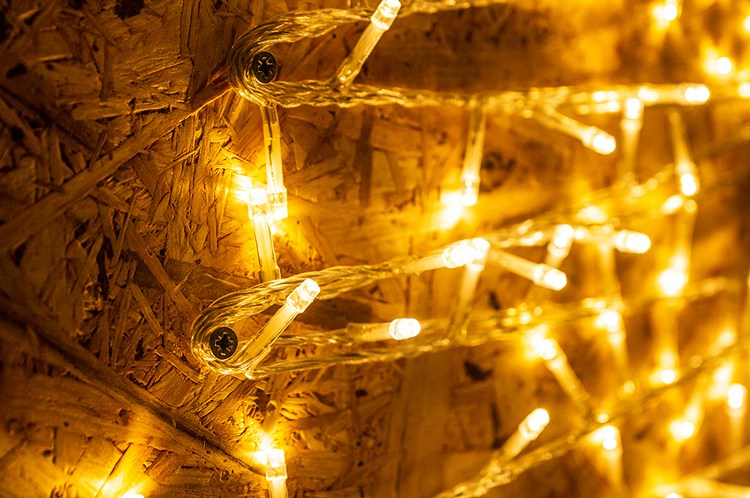 The studio’s tree is made from a piece of junk plywood, taken from the bin, which has been transformed into a festive fir using a drill, screws and a string of fairy lights. 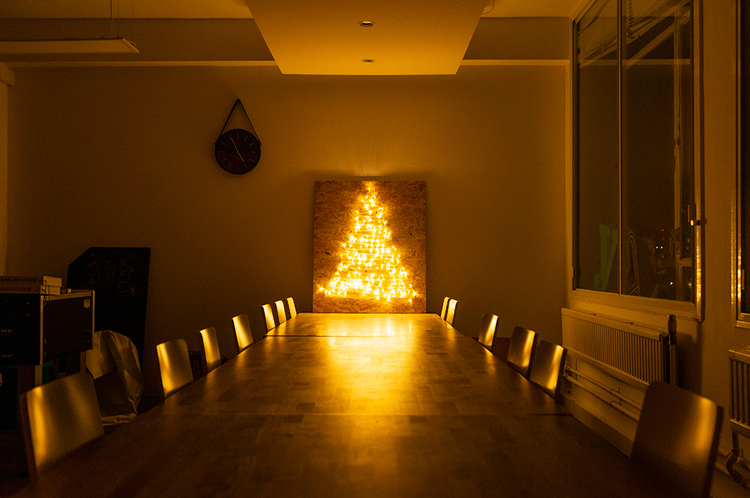 The rustic tree lights up one of the studio’s boardrooms, making it a brighter place to work, when everyone would rather be tucking into mince pies. 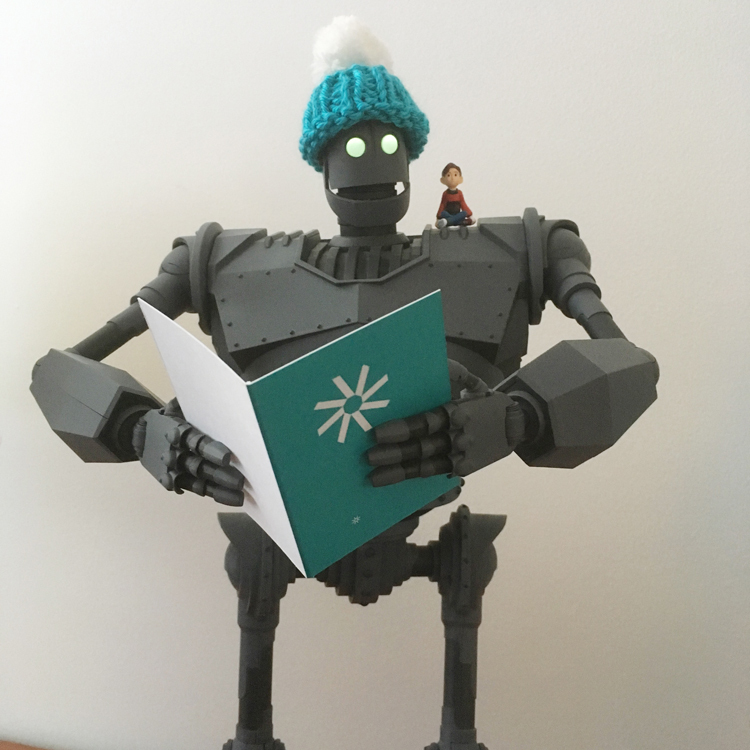 In the spirit of helping everyone enjoy the festive season, The Team has decided to make well-known Christmas motifs more accessible, by applying inclusive design principles to them. For instance, designing graphics with high contrast colours and larger text helps those with learning difficulties and disabilities such as dyslexia to distinguish letters and symbols more easily. 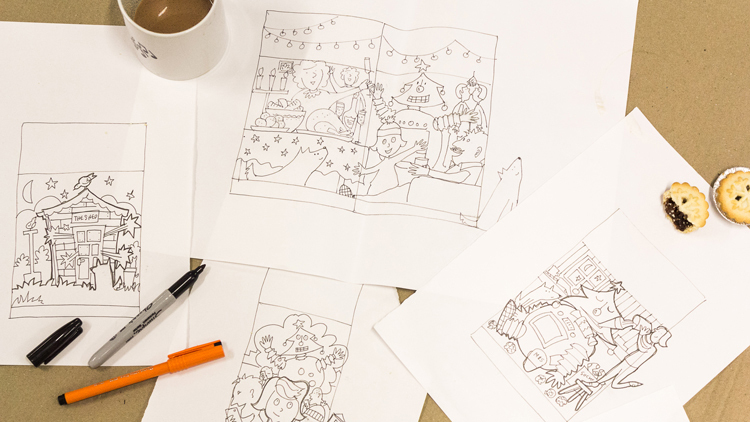 So, The Team has transformed famous icons, changing up Santa’s colours, giving Rudolph a bigger nose, and simplifying the snowflake and Christmas tree symbols so that they are easier to make out. 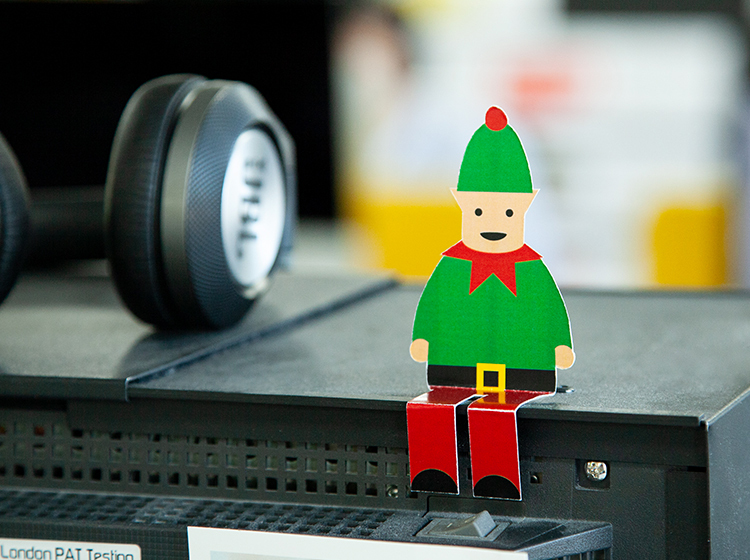 While the icons have been redesigned digitally, the studio also produced them in physical form, littering them around the office and hanging them from its Christmas tree. It aims to push the idea that designers should create things with inclusivity in mind. 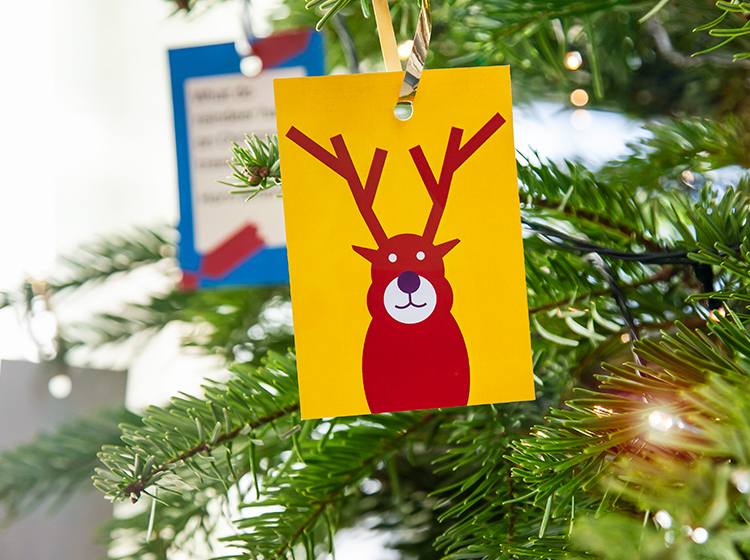 Avidd has made a commendable yet downsized effort towards Christmas, as director David Podmore says they “didn’t have big bucks to spend”, given the design studio’s young age. 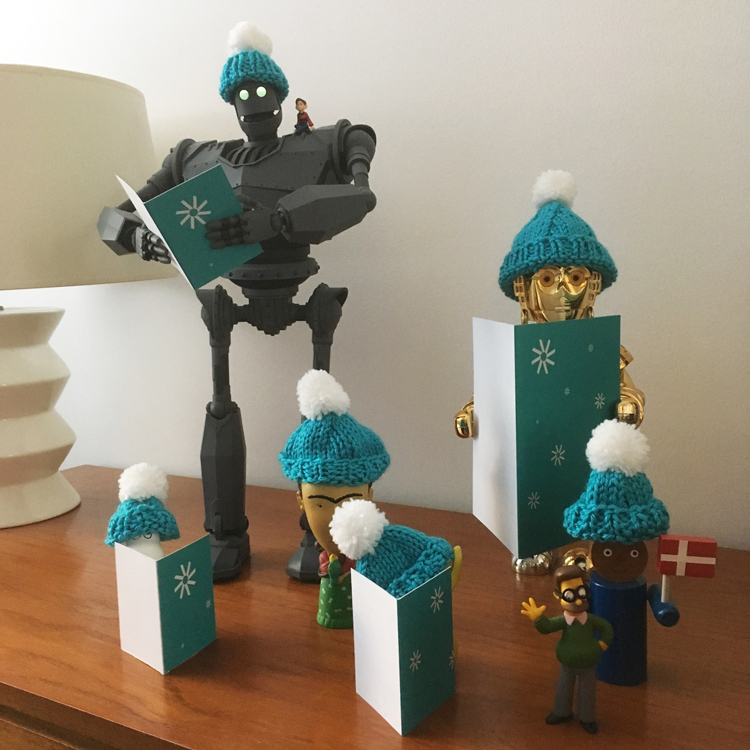 Random figurines found in the office have been turned into carol singers, through the addition of tiny, knitted hats created by a friend of the studio and miniature carol books “in case they don’t know the words,” says Podmore. 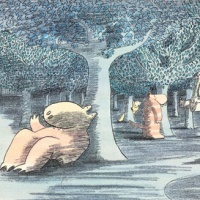 Singers include The Iron Giant, Frida Kahlo, a Moomin and Star Wars’ character C3PO. While far more small-scale than other studios’ Christmas attempts, we loved Avidd’s originality — and penchant for random, animated characters. 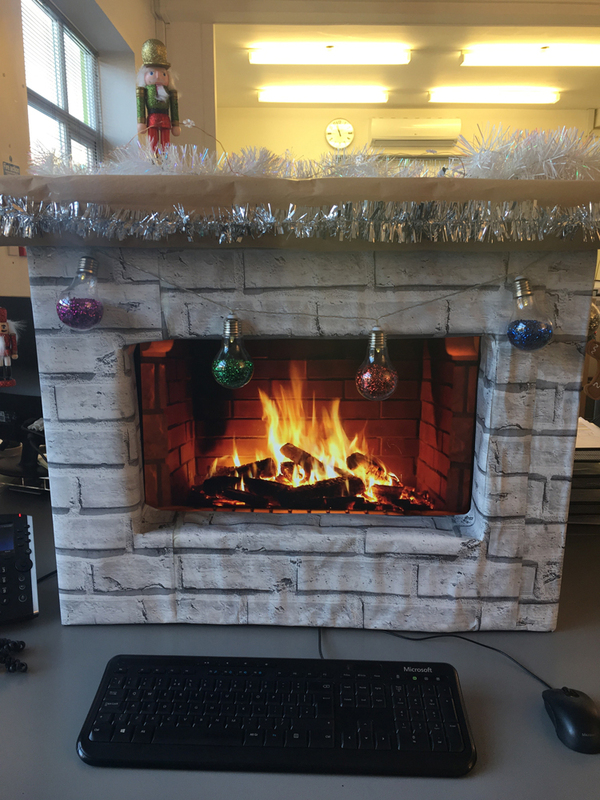 The most lo-fi of this year’s Christmassy studio attempts, Krissie Gonzalez Akerman, product manager at Idea Ltd, has created a roasty-toasty desk that makes us feel like sticking marshmallows over it (if only it were real). Using old cardboard, wallpaper and fairy lights, accompanied by a crackling fireplace screen-saver, she has turned her workspace into a cosy, roaring fire. We’re unsure of how much work she’s able to get done with this surrounding her computer or if December is purely reserved for napping. 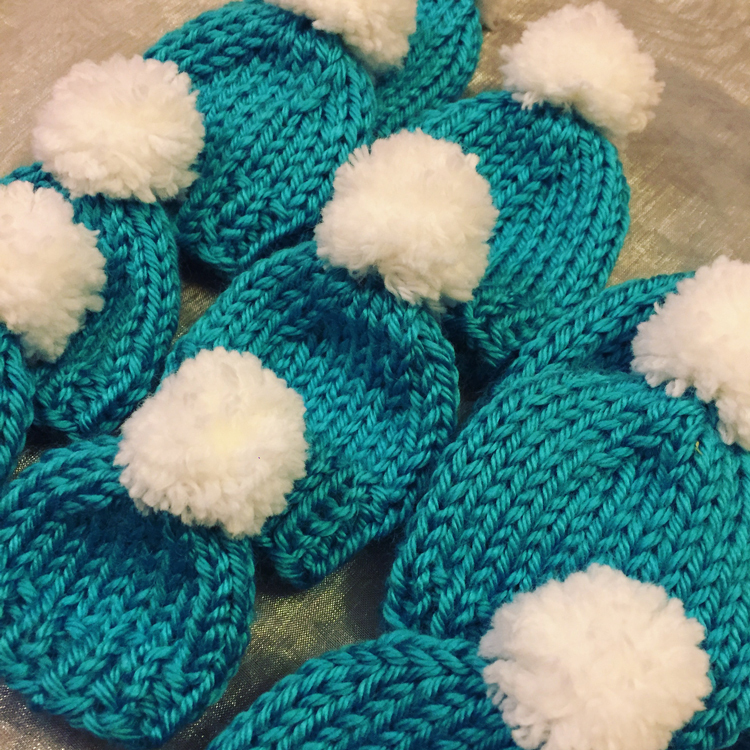 Kate Mikunda-Ross, account executive at the studio, says: “It makes you want to crack open the mulled wine and wear your slippers.” Hopefully not too much work, then.